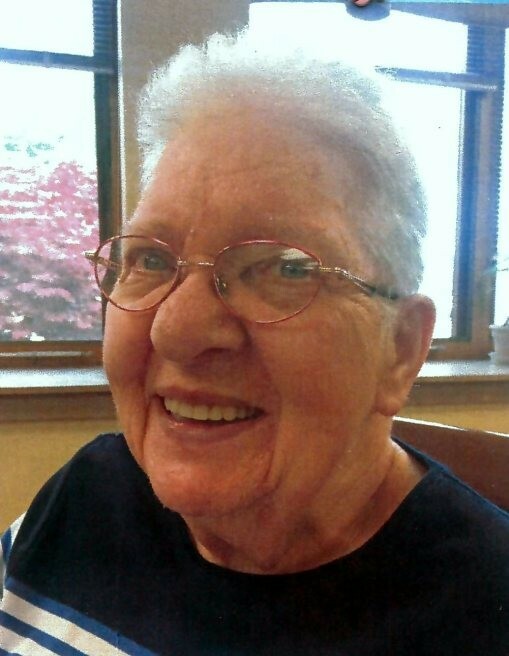 Mrs. Eunice E. Violett, of rural Grand Mound, Iowa, died Saturday afternoon, January 19, 2019, at Westwing Place, DeWitt. The former Eunice Estelle Schwartz was born January 22, 1937, in rural Clinton County to Fred A. and Mildred (Gusse) Schwartz. As a child Eunice attended the Elvira Zion Lutheran Church and graduated from the Elvira Iowa High School. She was a homemaker all of her life. Eunice married Edward Violett in Maryville, Missouri, February 26, 1960. Eunice and Edward, who was a Navy veteran, lived many years in Des Moines. Edward preceded Eunice in death September 24, 2011. Eunice enjoyed her home and was accomplished in crocheting and cross stitching. She was an excellent cook and baker. Eunice enjoyed her plants and flowers as well as watching Westerns. She particularly loved her three companion Chihuahua Dogs. Surviving are brothers, Wesley Schwartz of Paxton, Illinois, Donald Schwartz of Clinton and Frederick Schwartz of Bryant; sisters, Dorothy Peters of Rogers, Arkansas, and Edna Mae Montague of DeWitt. In addition to her husband, she was preceded in death by her parents; brothers, William Schwartz and Kenneth Schwartz and sisters, Alma Funaro, Helen Darr and Elnora Anderson. Visitation will be at the Elvira Zion Lutheran Church Thursday, January 24, 2019 from 10:00 until 10:45 a.m. A Service of Christian Burial will be held at 11:00 a.m. Thursday in the church with the Rev. Jealaine Marple officiating. Burial will be at Center Grove Cemetery rural Bryant.